You will need Node 6+ installed on your machine. Prior experience with React and Node will be helpful. In this tutorial, I’ll show you exactly how you can show notifications to the user when a new message is sent to a chatroom. The complete code used in this article can be found in this GitHub repository. A common feature in most real-world chat applications is the ability to get notifications when a new message is received. You will be pleased to know that adding this feature to your application is trivial with Chatkit. Before you proceed with this tutorial, make sure you have Node.js (version 6 and above) and npm installed on your machine. You can find installation instructions here. Also note that prior experience with building React and Node applications is required to be able to understand how the chat app works. As you can see, we have two endpoints on our basic Node server. The /users endpoint takes a username and creates a new Chatkit user on our Chatkit instance. The /authenticate endpoint serves to authenticate users who try to connect to our Chatkit instance. Because this is just a demo application, we are not doing any authentication here. We are simply returning an authentication token from chatkit.authenticate no matter what. That’s all we need to do on the server. You can run node server.js from within your project directory to start the server. You should see a message indicating that the server is set up successfully on port 5200. Once the command finishes running, cd into the new client directory and run npm start to start the development server. The app should be available at http://localhost:3000. Let’s go ahead and start building our app frontend. Before we write the application logic, let’s add some basic styles to the app. Download the Skeleton CSS boilerplate, extract the zip file and copy normalize.css and skeleton.css from the css folder to your client/src directory. placeholder="Type a message. Hit Enter to send"
The application layout is contained in the Chat.js file. As you can see, it looks like a typical chat app with a list of users on the left, and the main chat screen on the right. The username field under Join Chat takes the username of the user and calls the addUser() method in App.js when the form is submitted. In addUser, we send a POST request to the /users route defined in our Node server. If the request is successful, we connect to our Chatkit instance and add the user to the chatroom using the subscribeToRoom() method, otherwise an error is logged to the console. In the hooks object, the onMessage event is triggered when a new message is sent to the chatroom. We simply append the new message to the messages array so that it is displayed in the chat window. Similarly, when a user joins or leaves the chatroom, the onPresenceChanged hook runs so that we can update the online status for the user on the sidebar. 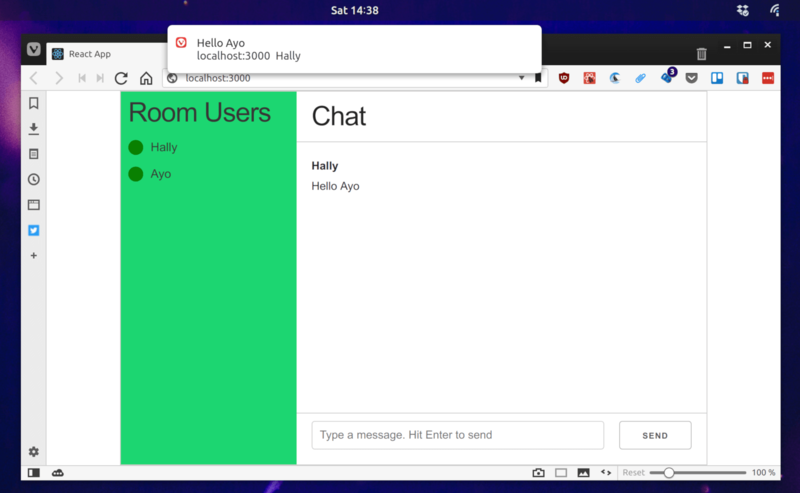 Finally, when a message is sent by submitting the form at the bottom of the chat window, we pass the message content and room id to Chatkit in the sendMessage() method and then clear the text input by setting userInput to an empty string. The grantNotificationPermission() method is invoked when a user is added to the room. This prompts the user to enable notifications in the browser. As long as this permission is granted, a new notification will be displayed to the user as specified in the showNotification() method. 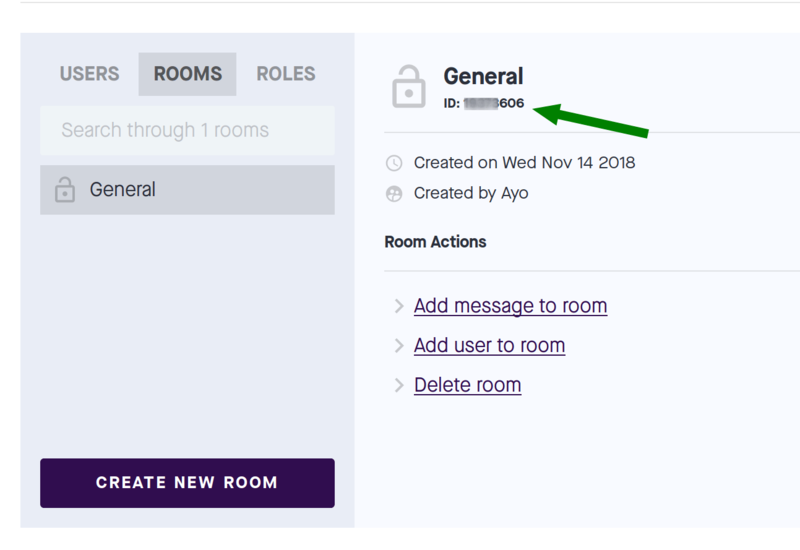 Don’t forget to update <your chatkit instance locator> and <your room id> as before. 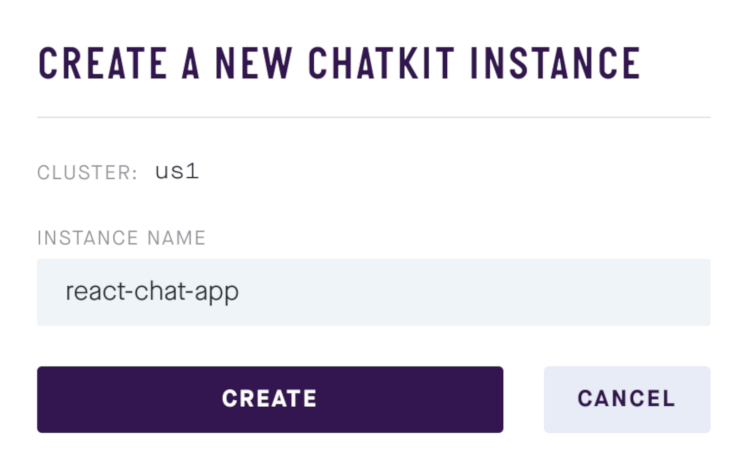 In this tutorial, I’ve demonstrated how to add web notifications to your Chatkit powered application. All the code written in this tutorial is available on GitHub for you to check out and run locally.